Gas Metal Arc Welding (GMAW) is probably what most laymen think of when they think of arc welding. The term "GMAW" is really the US term for the process, which is better known as MIG/MAG (Metal Inert Gas/Metal Active Gas) in Europe. GMAW is an open arc process in which a welding wire is used as the electrode to provide the arc while at the same time providing fill to the weld. 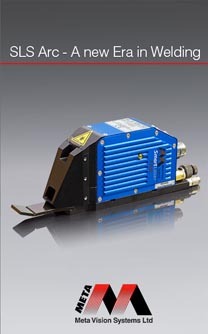 GMAW is commonly used on robots, for example, in the automotive industry. 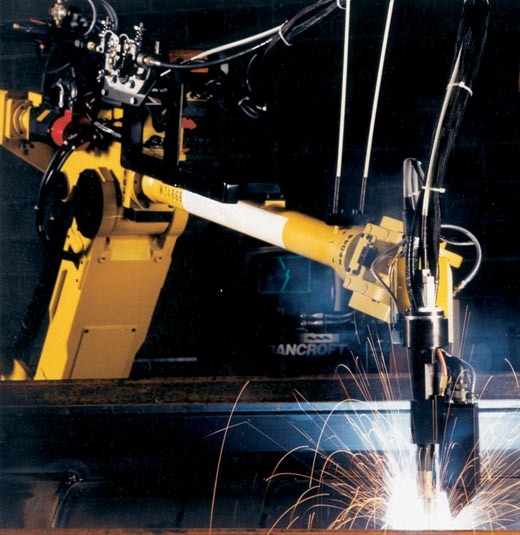 The GMAW process produces a bright arc, often accompanied by molten weld spatter, it is a more challenging application for automated guidance than some other processes. Since Meta was originally formed in 1984 from a university project which developed a laser sensor specifically for robotic MIG welding for the automotive industry, we have 30 years experience in dealing with the GMAW process. A related process is Flux Cored Arc Welding (FCAW) in which the welding wire also has a component to provide a flux to assist the process.